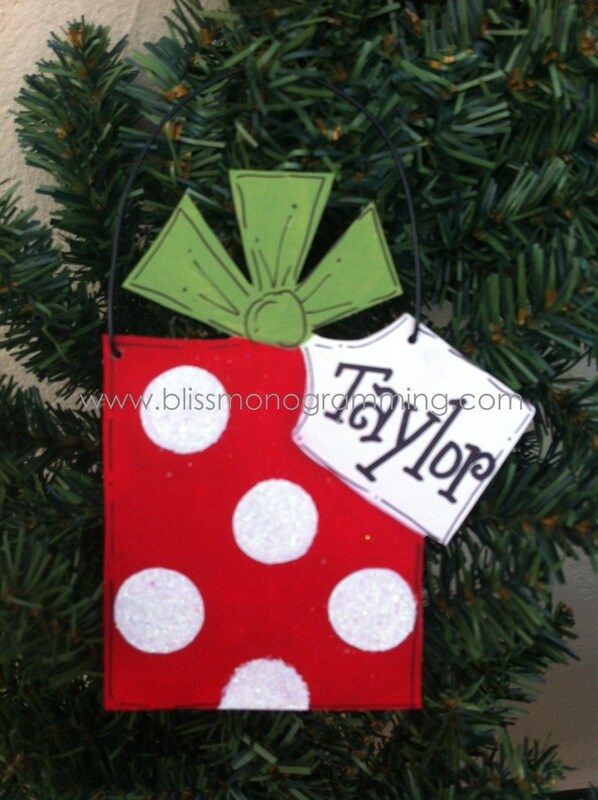 Our handpainted, personalized Present with Large Tag Christmas Ornament is approximately 5" x 6" in size. Made of light wood using lead-free paint, it's adorned with glitter and ribbon. Made in the USA!